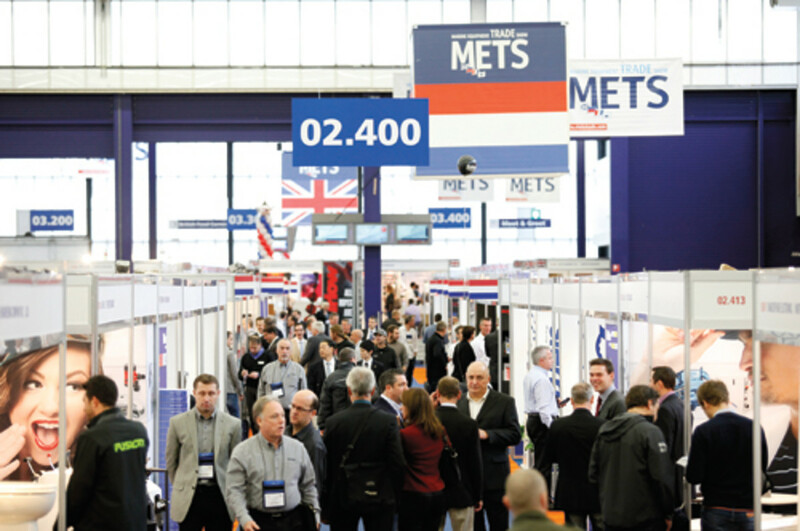 Some company executives might think that attending the 26th annual Marine Equipment Trade Show in Amsterdam Nov. 19-21 won’t be worthwhile because of the economic downturn that continues to challenge much of Europe. But those companies would be, in a word, wrong, say some METS veterans. “When the economy is good it’s very difficult to expand into the European market coming from North America because everyone is very fat and happy and busy, so they don’t have time to consider new products and ideas,” says John Mitchell, president of British Columbia-based Canada Metal (Pacific) Ltd., or CMP. CMP has more than doubled its market share in Europe, to about 30 percent, compared with the 75 to 80 percent share the company has in North America, Mitchell says. As a result, CMP has grown its booth from its original 3-by-3-meter size to the 12-by-4-meter display that it is today. At last year’s show, more than 1,300 exhibitors came from more than 100 countries, Dros says, and the show drew nearly 20,000 visitors. 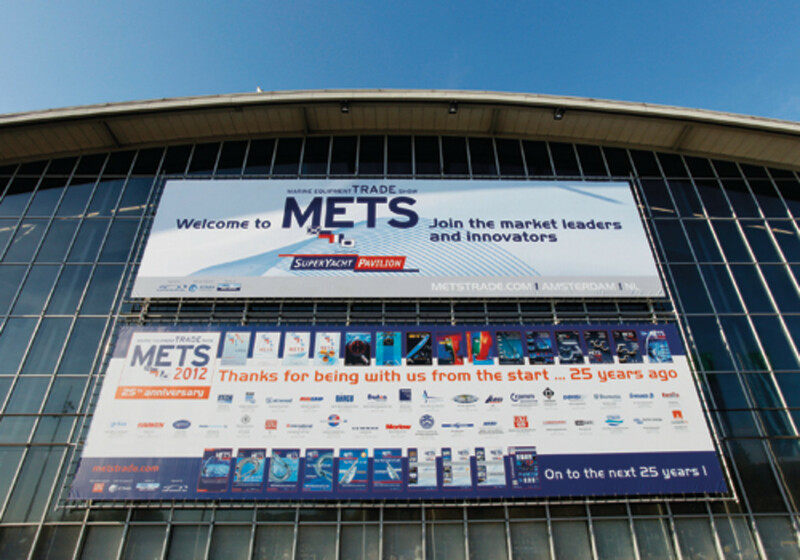 The show has added three national pavilions — South Korea, Slovenia and China — Dros says, for a total of 18, all coordinated by the International Council of Marine Industry Associations. This will be the 25th METS for Laura Martin of the public relations firm Martin Flory Group. “In my opinion, it’s been the queen jewel of the trade show circuit in that you can really count on having people from all over the globe in one spot. I don’t know of any show that can boast that to the extent that METS does,” Martin says. With customers in 80 countries, Dr. Shrink also enjoys the global nature of the event. 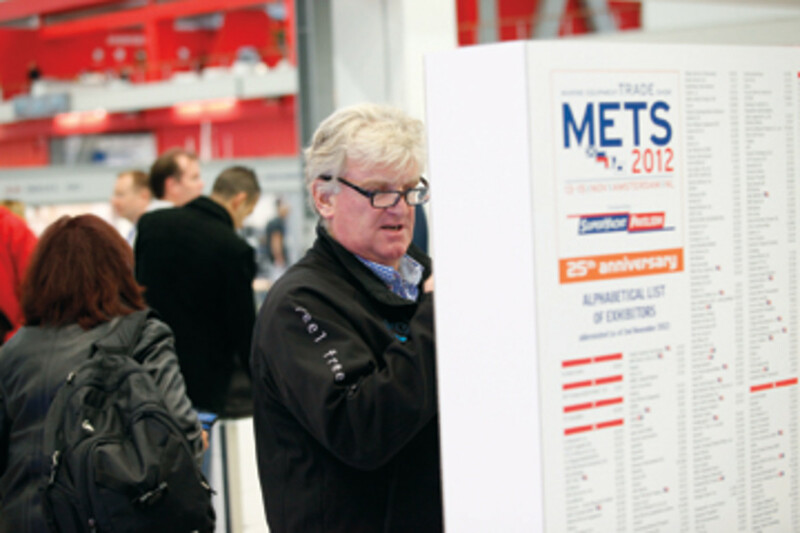 “The good thing about METS is that we’re going to see people from all over the world,” says Dr. Shrink president Mike Stenberg. “It’s a way to see a lot of our customers without making even more of an investment. Growing distribution is much quicker in North America because the chain is shorter than in Europe, Mitchell says. “It’s a much more mature market in Europe, and you have to develop that network.” He agrees there are more formalities. “You have to be introduced properly, almost as if you were developing a relationship where you have to meet the parents and ask permission” for a date. Within the show, there are three pavilions that focus on specific aspects of the industry — a Superyacht Pavilion, the Marina Yard Pavilion and the Specialized Construction Pavilion, formerly known as the Composite Pavilion. The offering can especially help emerging markets where the infrastructure is still evolving, Dros says. The Specialized Construction Pavilion’s name changed this year to include more materials from outside the marine industry, and it has added Material Xperience On Tour. Suppliers and experts from Materia will display materials that could add value to the marine sector. The company seeks out new materials for its 100,000 international members, which range from Apple to Ferrari, and showcases them via traveling exhibitions, events at the Materia Inspiration Centre in Amsterdam and Material Xperience On Tour. The goal is to inspire builders with innovative new materials for boat and yacht construction. There also will be a construction stage where speakers from industries such as aviation, construction and automotive will share ways to apply the materials. “There will be a huge display area with 125 raw materials in the center of the show,” Dros says. DAME, which stands for Design Award METS, is something Mitchell is looking forward to this year because CPM has submitted several products to compete for the accolade. “It’s a prestigious award for new products. It gets quite a bit of global press,” Mitchell says. More than 120 products have been entered, Dros says. The winner is announced at the opening ceremony after an address from keynote speaker Dustan McCoy, CEO of Brunswick Corp.
Amsterdam itself is a draw, and not only because it’s easy to get there — attendees can fly directly in and take a five-minute train ride from the airport. It’s also a beautiful city that offers visitors many options, Martin says. But in the end, it’s the show that draws her and many others to the venue.